The ASCENT 30 AVABAG is the ideal airbag backpack for long ski tours. Our extremely light avalanche backpack comes with 30 liters of usable volume for your equipment – from safety equipment to a hydration system to a change of clothes and a snack, everything has its place! This makes the ASCENT 30 the perfect companion for demanding ascents to craggy summits and long powder descents through fresh, deep snow. ASCENT means complete concentration on the essential: function and protection with low weight and great comfort. 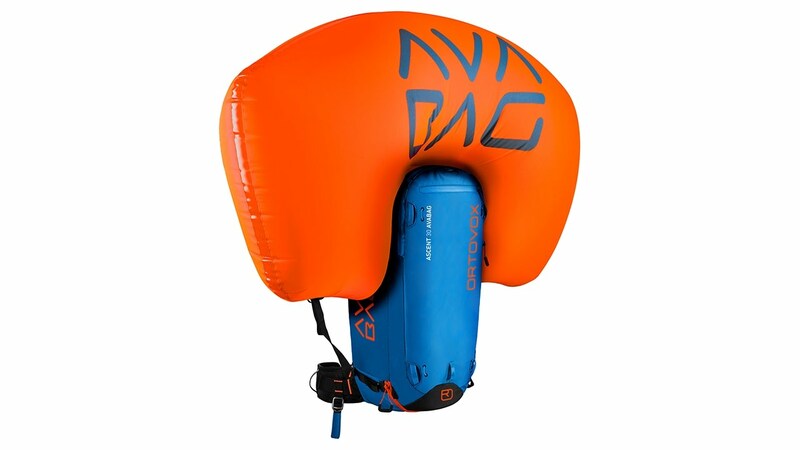 Thanks to the foamed 3D back system, our avalanche backpack is light, stable and comfortable. Naturally, we thought of essential features such as the ice axe and hiking pole fastening, a circumferential zipper for quick access to equipment and diagonal ski attachment for greater wear comfort! In addition, an AVABAG UNIT can be easily and quickly installed into our ASCENT 30 AVABAG. The system weighs only 690 grams*, is sensationally compact, removable and can easily be activated again and again without the cartridge attached. This allows for activation training to prepare for quick and correct action in an emergency.